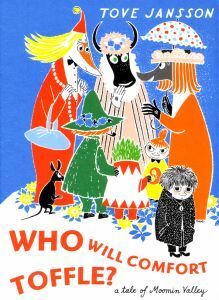 The Moomin Trove: Who Will Comfort Toffle? Title: Who Will Comfort Toffle? Original Title: Vem ska trösta knyttet? This is a brand new translation, adapted by the poet Sophie Hannah and published in 2003.